This offer is exclusively for Localwire users and limited. 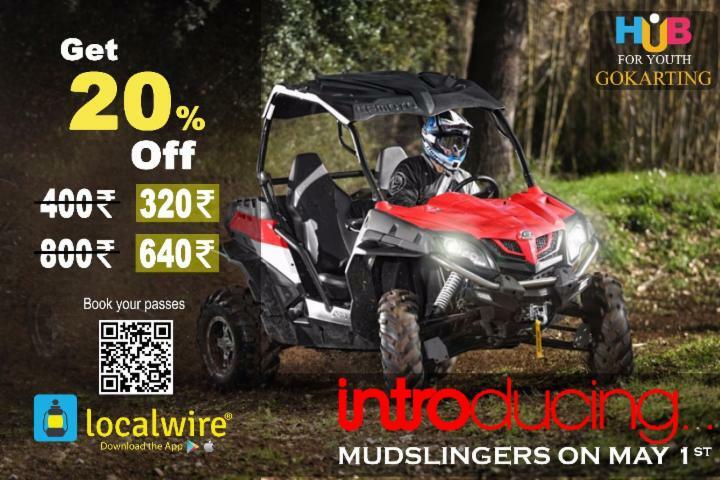 Get 20% Off on every mudslingers ride. so Hurry UP! The track is considered to be one of the India's longest track. Come and test your skills on this route with your friends and family. 1) Show the QR Code, SMS or email and claim it. 2) We are flexible with rescheduling. 4) Standard Terms and Conditions apply.